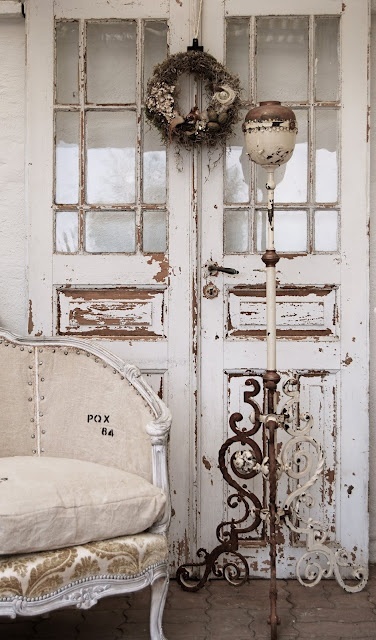 There are so many ways to use old doors and shutters in a home...and they always look good no matter what you do with them from....leaning them against a wall to using them as a headboard or actually installing them on a window or in a doorway. 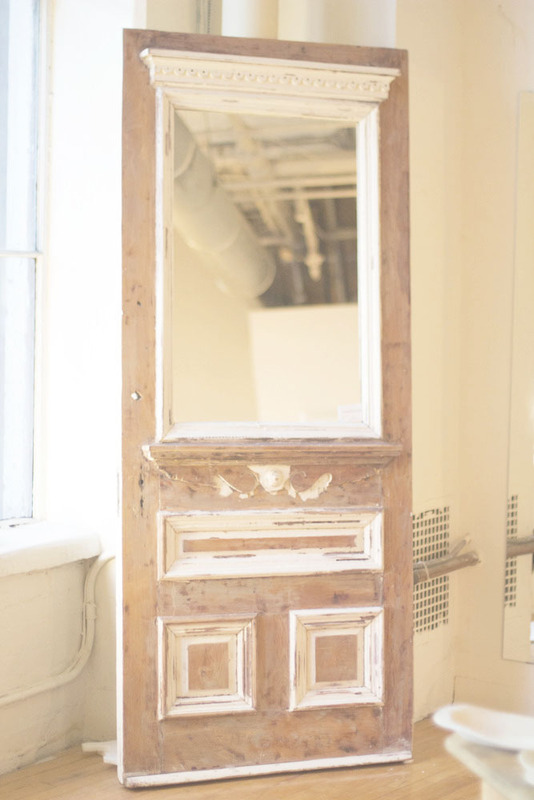 I have used a shutter as a headboard and as a screen and I have an old Victorian door in my shop that I changed to a mirror (bottom picture). 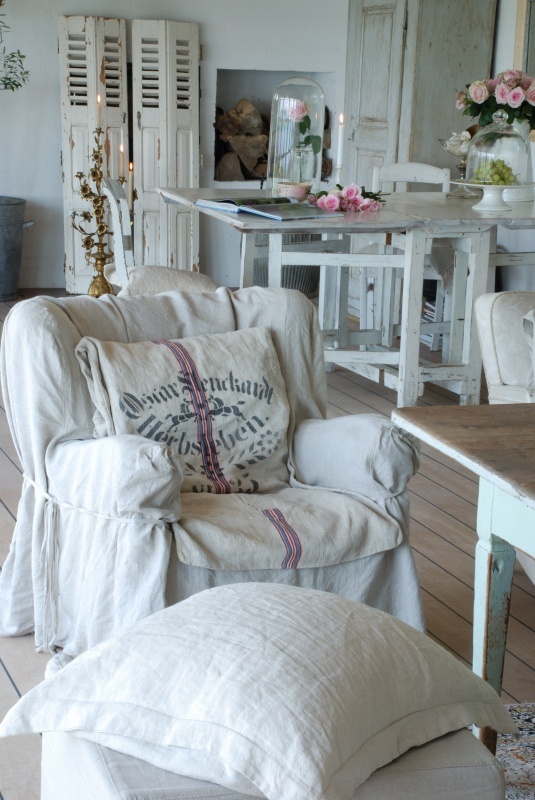 They add character to a modern space and look fantastic surrounded by other vintage pieces. 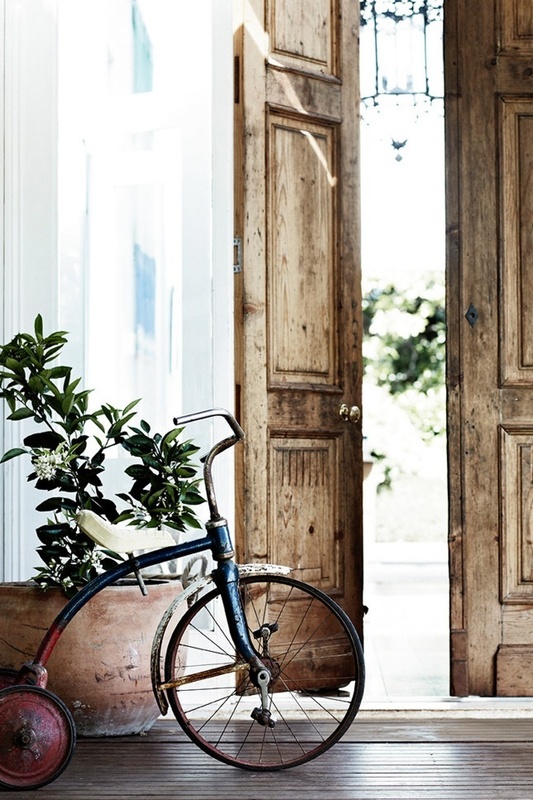 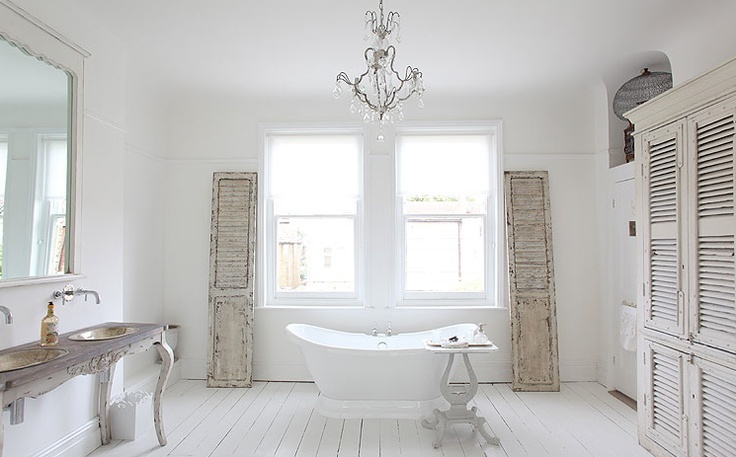 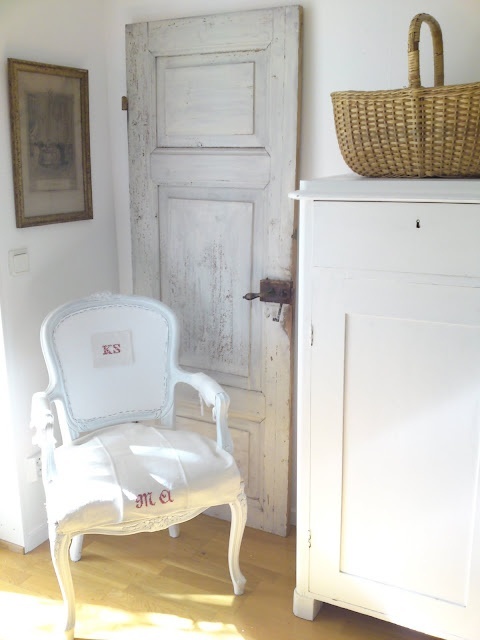 Are there other ways you have used old doors and shutters?